Out of the bar and into the streets! Penn's performance is good (albeit in the prosthetic performance tradition of Kidman in The Hours), but the film has the failing of many a biopic in that it's so caught up with trying to feature all the key incidents it can muster and being oh-so respectful that it ends up somewhat bland and piecemeal. We only really skim the surface of Milk' s character, since the film is all micro-scenes and accompanying footage from the era. It's got the bogged-down-in-worthiness feel of the studio system seen in Van Sant's Finding Forrester, when it needs the indie Van Sant to invest it with energy. That only really occurs when Josh Brolin's complex, interior, Dan White enters the scene, and these are the only occasions you really see Penn getting to dig into the part, rather than preaching to the choir (it's particularly annoying when you get 90 seconds of Milk in a televised debate and you really want to see him get into his stride, but then we cut away to another event). 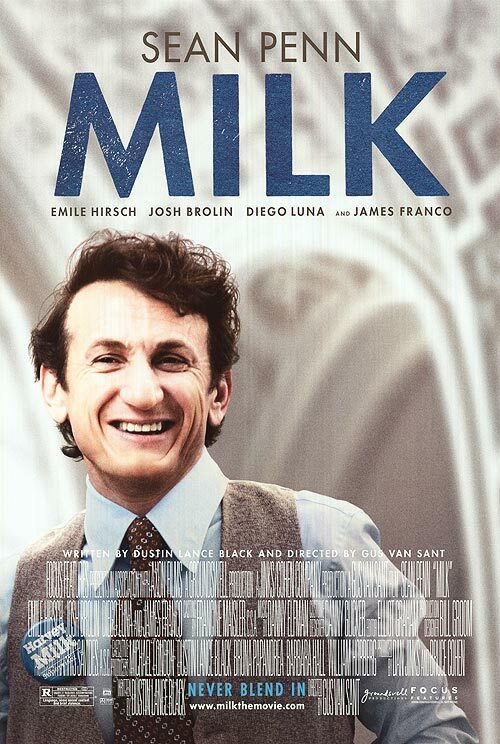 In retrospect Oliver Stone's early '90s adaption of The Mayor of Castro Street, with Robin Williams as Milk, sounded like a project that might have at least had the potential to provoke the audience (that said, Van Sant later pulled out of the project, after Stone moved on, because it's focus was "Why did Dan White kill Milk" rather than Milk himself).